The mission of the Catherine McAuley Center is to directly minister to women and to the economically poor; to provide temporary shelter for women and children in crisis; to assist women in attaining safe, affordable, permanent housing; to provide women support services leading to self-reliance; and to help individuals and families access medical and community resources. We reflect the mission and philosophy of the sponsoring Sisters of Mercy of the Mid-Atlantic Community; are faithful to the teachings of the Gospel; and respect the unique privilege of each individual to move towards self-determination. The story of the Catherine McAuley Center began in Dublin, Ireland in 1831 during a time of profound change that would bring to life the vision of one of history’s most remarkable women: Catherine McAuley. By founding the Sisters of Mercy, Catherine McAuley extended the Catholic Church’s ministries of healing and teaching to the poor, sick, and uneducated. She shared her vision with other women who embraced her commitment, and together they created one of the largest congregations of women religious ever established in the English-speaking world. This newly formed religious community brought the disadvantaged in Dublin… and later, the world…the incomparable qualities and compassion of Mercy. 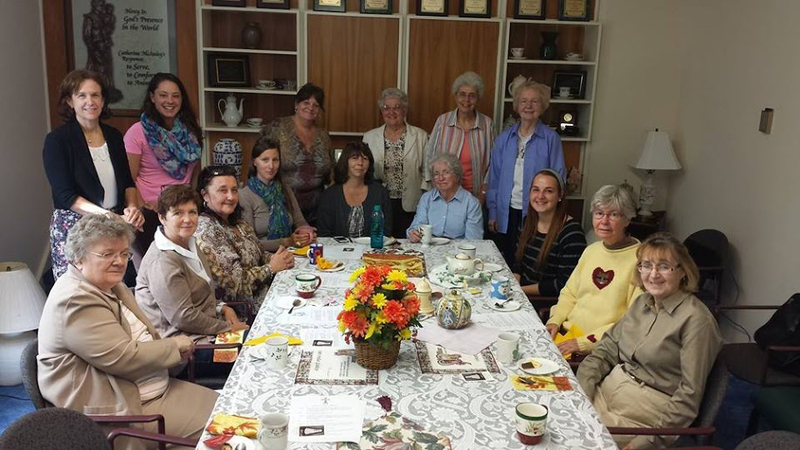 The success of the Catherine McAuley Center in Northeastern Pennsylvania is due in no small measure to the vision of its foundress Sr. Anne Paye, RSM, who became aware of the crisis in housing for women and children in 1979. By 1983 Sister Anne joined with two other Sisters of Mercy, Sister Dorothy McLaughlin and Sister Elizabeth Brandreth, and they created an environment to assist women with housing in the Scranton area. The first step began with the Sisters moving into the former St. Joseph Lithuanian Convent in North Scranton where they shared their extra bedrooms with women in need of shelter. From a modest beginning on September 1, 1984, when the Sisters accepted their first guest, a new ministry developed in Northeastern Pennsylvania’s Luzerne and Lackawanna Counties. The Catherine McAuley Center was formally incorporated in 1985 and is a sponsored work of the Sisters of Mercy Mid-Atlantic Community. Facility locations now include Wilkes-Barre, North Scranton, South Scranton, Green Ridge, West Scranton, and the Bellevue Section of Lackawanna County. The Catherine McAuley House, a transitional living facility, is located in Plymouth, PA.
Today the vision of Mercy is still alive in Northeastern Pennsylvania. Houses of Mercy are still safe havens for homeless women and children, and as a lifeline for those in need, the Catherine McAuley Center remains a vital resource for the greater community. Since its inception in 1984, the Catherine McAuley Center has grown dramatically, while its commitment to caring for homeless women and children remains as strong as ever. 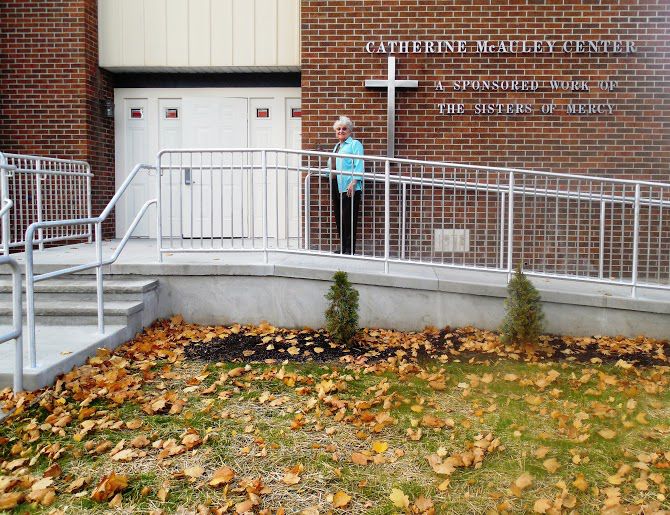 Individuals and organizations are invited for tours of the Catherine McAuley Center and our facilities. The Center serves as a host site for membership meetings of local school groups, as well as civic and business associations that are interested in learning more about our programs and services. The Center seeks to promote active community involvement through volunteerism, contributions, and participation in special events. The Speakers Bureau was created to raise community awareness of the plight of homeless women and children in the community and to inform the public about the Center’s role in helping to meet the social, psychological, and vocational needs of homeless women and their children. Members of the Bureau are available for speaking engagements upon request.